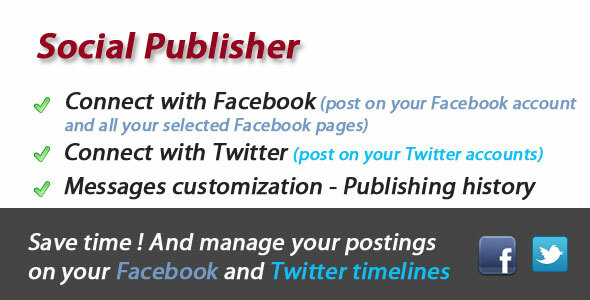 This app enables you to send updates on your Facebook and Twitter accounts. The big advantage is to save time by doing the posting once and have your message posted on several Twitter accounts at a time, and also on all your selected Facebook pages. Why do something several times, when you can do it only once? This app comes also with a built-in history enabling you to see what has been posted, and when, and if any posting has failed you will see it right away and be able to correct it !